Boeing employment grows in Washington. Boeing’s record production rates and backlog of orders is having a spillover effect on employment. The company announced that it hired 8,500 new workers in Washington in 2018. When retirements and departures are factored in, this represents a net increase of 3,984 employees, bringing the company’s total state employment to 69,813. Companywide, Boeing has 150,227 employees, an increase of 8,905 employees compared to the year prior. Boeing’s plants in Renton and Everett delivered 741 aircraft in 2018, including a record number of 737s. The Renton plant turned out new 737s at a rate of 52 per month to keep up with demand. In Everett, the first 777X neared completion with flight tests to begin this year. There are also indications that the company is doing engineering work on the New Market Aircraft, known in the industry as the 797. The company may make a decision on production in the first half of 2019 and it could lead to even greater opportunities in Washington if the state is selected for production. 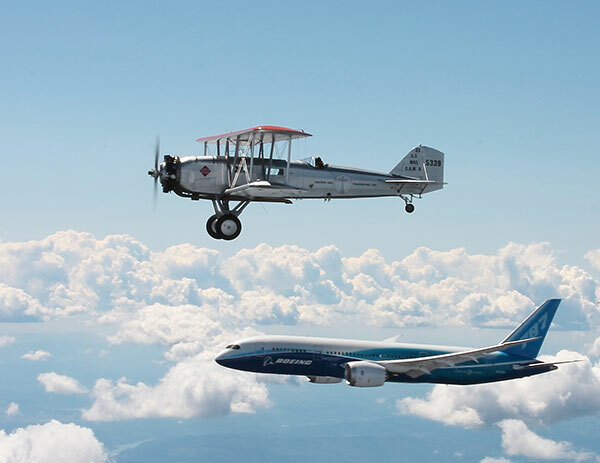 The increase in overall employment for Boeing in Washington is a testament to the state’s legendary aerospace workforce. Overall, the sector employs 136,100 workers and has 1,400 companies in the supply chain. Learn more about Washington’s aerospace industry.